Responsible to the Senior Director of Residence Life serving in a leadership role for the overall management and administration of a 14,000-student residence hall operation. The Senior Associate Director is specifically responsible for the day-to-day operations of the University Park residential program. Lead the department educational planning via co-curricular and professional development initiatives. Supervise an Associate Director housed in the Office of Student Conduct, along with 4 Assistant Directors of Residence Life and a staff of up to 50 professional staff and 280 paraprofessional staff. Serve as primary liaison to the Assignment Office, University Police, and the Higher Education Graduate program. Required to be part of an on-call duty rotation and live within 15 miles of campus. Typically requires a Master's degree or higher plus eight years of related experience, or an equivalent combination of education and experience. Master's degree or equivalent in college student personnel or a related field preferred. Successful candidate must have professional staff supervisory experience, crisis management experience, and demonstrate effective time management, administrative, and interpersonal skills. Must demonstrate a commitment to the development of a community where diversity and sustainability are valued. Experience working with faculty in the implementation of living/learning programs experience is preferred. Driver's license preferred. If operating a University vehicle for this position, candidate will be required to successfully complete a motor vehicle records check in addition to standard background checks. 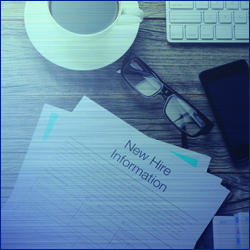 For full consideration resumes should be submitted prior to February 28, 2019.